Why are the skies of the Florida State Capital being sprayed nonstop with chemtrail aerosols for days in advance of Trump’s only campaign event here? UFO destroying chemtrail? What the heck is that? This strange video of a ‘UFO’ destroying a chemtrail was captured on Sept 28th near Paris. Did the EPA recently rule coal fly ash as non-hazardous because it’s the primary constituent of chemtrail aerosols? 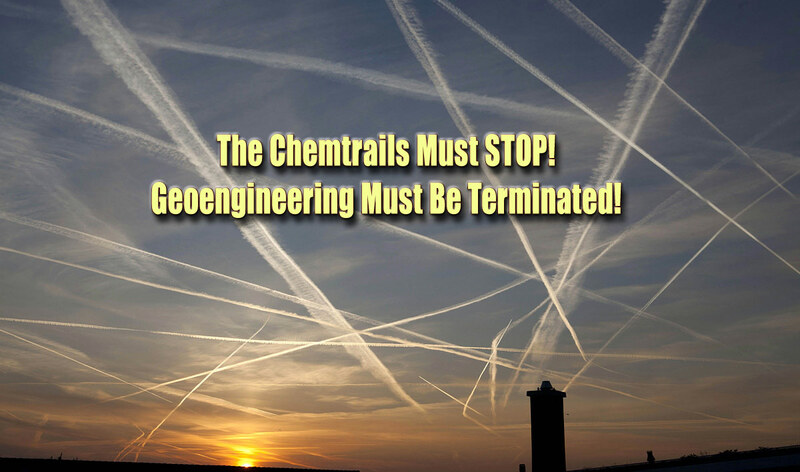 GEOENGINEERING ACTION NETWORK Begins Worldwide Legal Initiative Against Chemtrails, Geoengineering The current geoengineering regime, which blankets Planet Earth with chemtrails 24/7, constitutes the single greatest threat to humanity and the biosphere.